Tom Brady posted a video to his Facebook pumping himself up for the big game using Friday Night Lights. And not even the good Friday Night Lights. In the video, Brady uses Billy Bob Thornton’s Coach Gary Gaines monologue about defining perfection overlaid on footage of various New England Patriots players making spectacular plays and/or simply celebrating those impressive feats of athleticism. 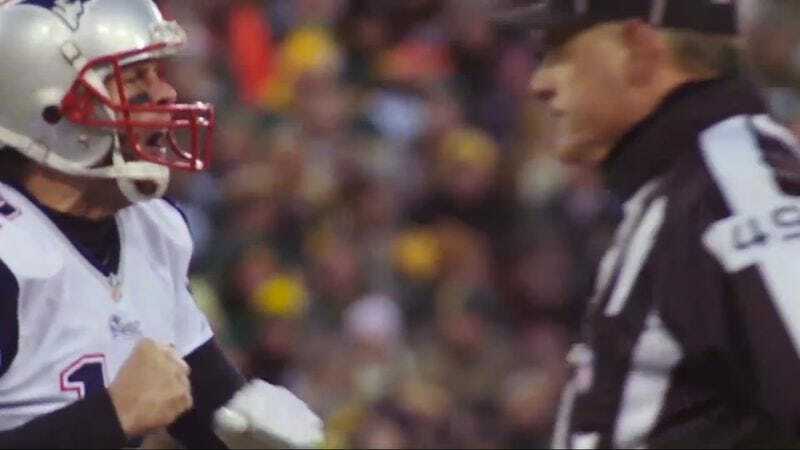 The footage isn’t all from this season, but with the distraction of Deflategate and the endless press conferences about ‘balls,’ perhaps the older footage is there to remind Tom of the good times before his coach threw him under the bus and the cheating allegations were only from the lowly Jets.